In September 1774 the farmers of Middlesex County rose up and ended royal government in most of Massachusetts. For the next seven months, Patriot activists and the British governor raced to seize artillery. Cannon disappeared from ships, shore batteries, and even armories under redcoat guard. In Newton, citizens voted to form their own artillery company. Learn more about this dramatic time in American history as author J.L. Bell discusses his book, The Road to Concord, which uncovers the hidden history that led to the Revolutionary War. Bell is proprietor of the Boston1775.net website, an elected fellow of the Massachusetts Historical Society, and a Newton North High School graduate. Co-sponsored by Historic Newton. Explore the history of Newtonville from its rural beginnings, through its suburban development as a railroad stop, to the changes brought by the construction of the Mass Pike. 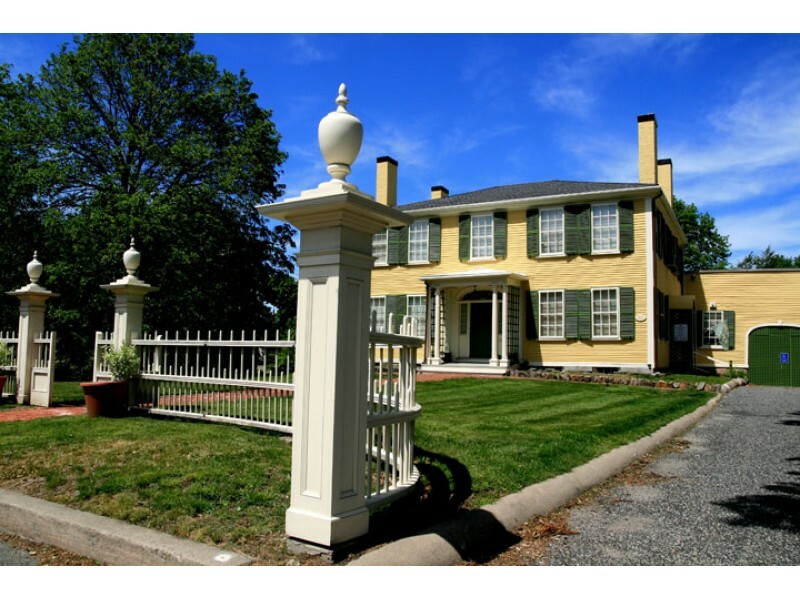 Join Historic Newton Museum Educator Tracy Lindboe as she leads us through the development of Newtonville using historic perspectives and narratives from past Newtonville residents. Location: Meet at the Newton North High School Parking Lot at Elm Road and Walnut Street. Park in the lot. Outside on the grounds of the Durant-Kenrick House we will read Apples by Gail Gibbons to discover more about the history of apples in America, and use the fruit itself to make art. The Kenrick family had many acres of fruit orchards when they lived in Newton and their growing legacy is still present in our orchard and gardens. For children ages 18 months to 6 years and their caregivers. Includes free entrance to the museum after the program. WHO INSPIRED OUR SCHOOL NAMES? Newton’s two high schools simply use North and South for identification, but many public elementary and middle schools are named after a notable person in our city. Stroll through the Newton Cemetery to see the final resting places and learn more about the lives of Dr. Henry Bigelow, Isaac Tucker Burr, and others whose legacy continues in our schools. Location: Meet in front of the chapel just inside the main gate, 791 Walnut St, Newton Centre; park in the lot to the left of the chapel. Most people today get their clothing pre-made from a store, but historically most clothing was made at home, and worn until it fell apart. We will read Caldecott Award winning book Joseph Had a Little Overcoat by Simms Taback. Afterwards, interact with historic garments from our collection and design your own clothing with a coloring activity. For children ages 18 months to 6 years and their caregivers. Includes free entrance to the museum after the program.